Meeting Orlando Bloom left me star struck to levels I’m embarrassed to admit. Having worked predominantly in casting for 3 years you would think I’d be immune to actors and stardom. Particularly when my Spartacus job involved screening photos of buff bare chested men. My boyfriend and I went out in Wellington and who should we run into but Mr Bloom himself. They’ve worked together so he offered to buy him a drink. Upon introduction this offer was extended to me. I looked at Orlando. He looked back at me politely. I continued to look at Orlando. The name of every single drink vanished from my memory. I looked to my boyfriend for support; he smiled back but said nothing. “You’ll need to say which spirit you’d like” was the reassuring answer from my boyfriend. I looked back at Orlando. I looked at his actor friends that were also waiting intently. 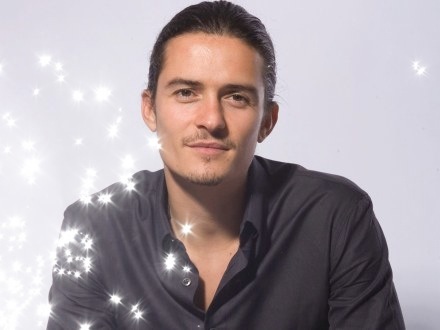 I started thinking what lovely eyes Orlando had, with an ever so slight twinkle. Suddenly “rum” was the word coming from my mouth. “Rum?” one of the actors questioned. “I think she wants a rum” I heard Orlando telling the waiter in a lovely English accent. Before I knew it I was drinking rum, and Orlando had dispersed into the crowd. “I didn’t even fancy him” I proclaimed when recounting the story to a friend. She reassured me it’s okay, because he is in fact that hot. This made me feel much better. It was the damn twinkle that got me. I guess that’s the so called “X-factor” that separates the few from the masses. I feel confident that it would only be Orlando, Leonardo Dicaprio and Ryan Gosling that could induce this state of swoonery. So as long as I don’t encounter these men in the future my work professionalism is not at stake. What a highlight and who knows Leonardo and Ryan may just be next on your list !! Gotta admit, this had me laughing out loud… I feel OK now admitting I got ‘star-struck-down’ by Celine Dion once, only to find out… (wait for it) yes, it was NOT her! Oops!